Rewarding your customers for their birthday is a great way to give back to your customers and provide a personal touch to your customer service and sales efforts. When was the last time you were given something super nice for your birthday? A few hundred or even a few thousand reward points to buy a new item from your favorite store would go a long way in making it a birthday to remember! 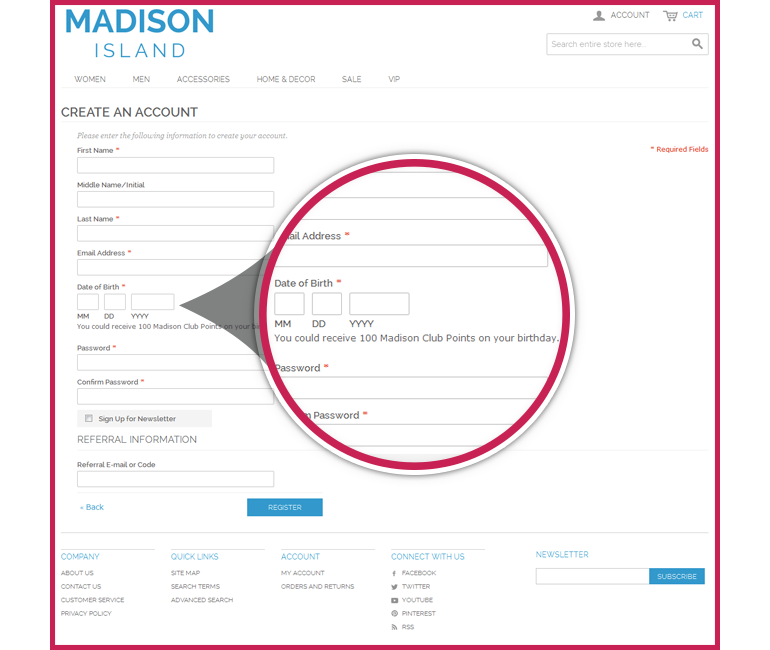 Make sure you have the customer Birthday fields enabled on the account signup form. Without these enabled the reward won’t work as your customer won’t have entered their birth date.